East London architecture down the ages is rich and varied, from Hawksmoor’s churches to the high modernist Balfron Tower. But there are supreme examples of contemporary architecture in East London too, which the Royal Institute for British Architects (RIBA) acknowledged when announcing the nominees and winners of its annual awards. 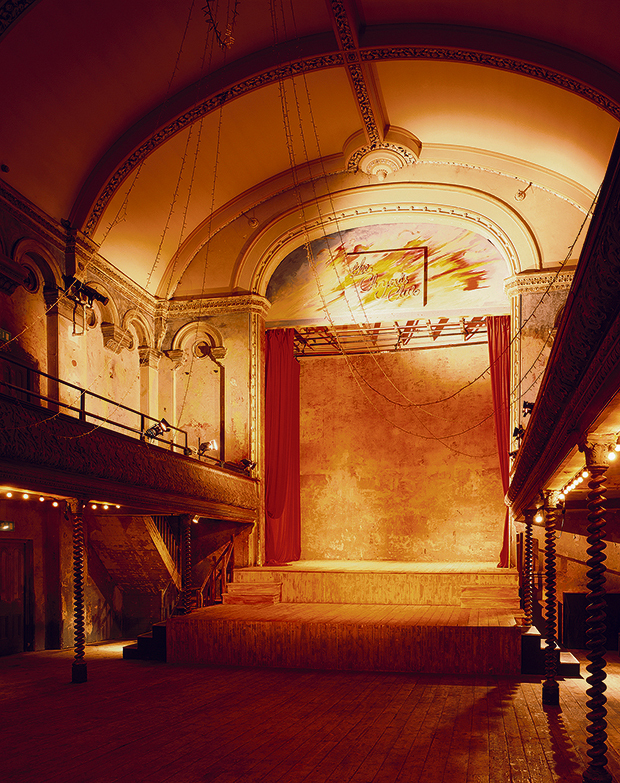 Once a rowdy hub of Victorian popular entertainment, Wilton’s Music Hall has been named London Building of the Year, after a restoration project that saw the theatre strengthened, sound-proofed, heated and ventilated without compromising its unique character. “We just want to stop the clock so that it’s safe and it’s structurally secure,” Oona Patterson, the venue’s marketing director, told the East End Review in 2014, before much of the work had started. Tim Ronalds Architects followed a principle of “doing only what is essential”, putting an “enormous amount of care into apparently doing nothing’. In Victorian times, tightrope walkers, the first British can-can show, and performances by music hall greats graced Wilton’s stage. Everything possible from that era was preserved, from disused roofs, Georgian brickwork, fragments of plaster and ceramic electrical fittings, to an abandoned birds’ nest. As the restoration unfolded so traces of previous occupation and abandonment emerged. These found qualities of the building have also been preserved, adding to a subtle and engaging visual narrative. This large-scale office space on Finsbury Square incorporates parts of the old Triton Court building. 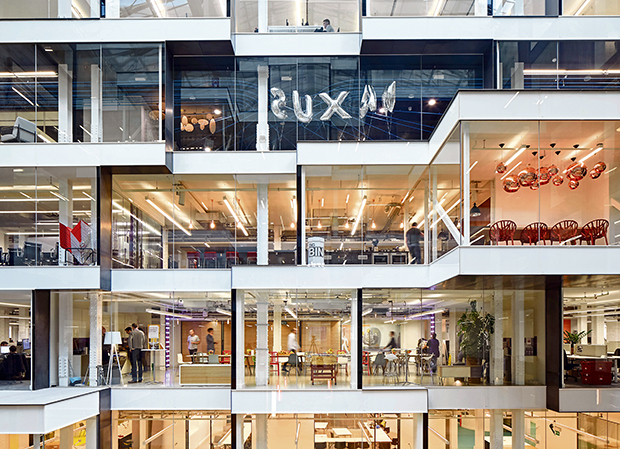 The building, which has bagged a London RIBA award, has been transformed into a contemporary office space for workers in the tech and finance industries. Its original tower and cupola have been restored but rooftop office space and open terraces now offer panoramic views. Architects Studio RHE removed old extensions and alterations, stripping back the listed building to reveal riveted-steel columns and brickwork. But the most impressive detail is its glazed atrium, the sides of which are clad in contrasting materials. Projecting meeting rooms cantilever out into the space, and a huge cycle ramp behind a glazed screen takes cyclists straight down from street-level to a large cycle store in the basement. What one considers an office can range from a kitchen table to a rented shoebox to something altogether more grandiose –Alphabeta firmly belongs in the latter camp.